Return for exchange or refund will be allowed only within 7 calendar days from the date of receipt. All authorized return merchandise must be unused and in their original saleable packaging. No return or exchange will be accepted on merchandise showing signs of having been installed, mounted, scratched, or defaced. RETURN AUTHORIZATION must be issued before any returns can be made. All returns must be received by ZtecHID.com within 10 calendar days after a return authorization has been issued. A Return Authorization does not imply a replacement or refund, but only that ZtecHID.com will inspect the merchandise based on the claim. Return freight charges and insurance must be paid by the dealer. Original shipping and handling charges are not refundable. A photocopy of the invoice showing the invoice number must accompany the return package along with a written explanation and a contact phone number. It is the responsibility of the customer/installer to verify the correctness of size and application of the parts before installation. 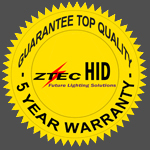 All approved refunds will be paid by ZtecHID.com's Company Check, Credit Card Credit, or Account Credit. 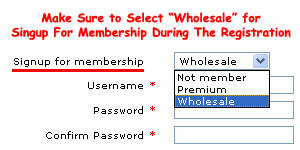 A 25% restocking fee may be applied to authorized returns. No cancellations, refunds, or exchanges on special order items or custom order items will be allowed.